A long-range S-300 missile system is displayed by Iran's army during a parade marking National Army Day, outside Tehran. The Iranian authorities have for the first time displayed the S-300 surface-to-air missile systems they have received from Russia. 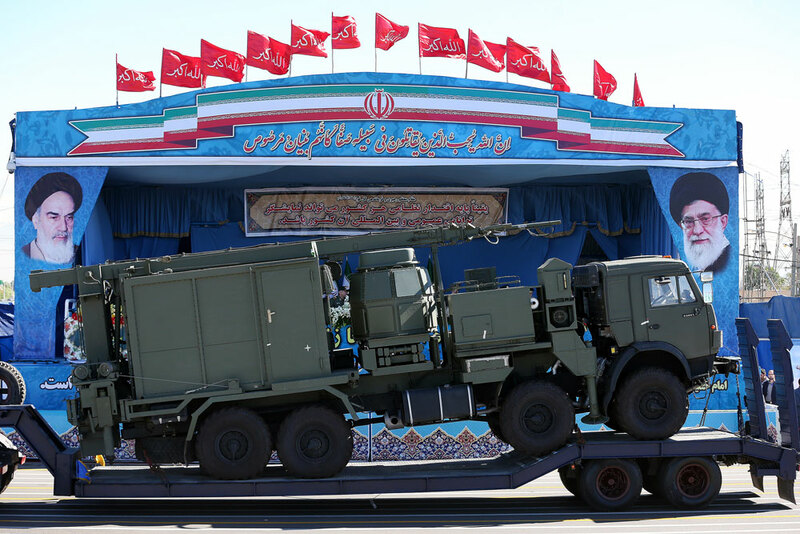 The Iranian authorities have displayed the S-300 surface-to-air missile systems supplied by Russia at a military parade in Tehran marking National Army Day, Iranian news agencies Mehr and Tasnim reported. The parade, held on April 17 in the square near the mausoleum of the founder of the Islamic Republic, Ayatollah Khomeini, featured Iranian warplanes and attack helicopters, numerous items of military hardware, and a column of veterans and formations representing different services. Various types of unmanned aerial vehicles and patrol boats were also displayed, the TASS news agency reports. The parade was attended by President Hassan Rouhani, who also delivered an opening address. On April 11, the Iranian Foreign Ministry reported the delivery of the first Russian S-300 missile systems to Iran. The announcement was made by the ministry spokesman, Hossein Jaber Ansari. Iranian TV showed footage of missile systems being transported on eight heavy towing platforms. The $1 billion contract for the delivery of four S-300 batteries to Iran was signed in November 2015. Originally, it was expected that the missiles would be delivered to Iran no earlier than mid-2017. Russia and Iran had signed a S-300 contract before, back in 2007, for $800 million, but no supplies were made under it because of UN Security Council sanctions and the embargo imposed by the then Russian president, Dmitry Medvedev. At the time, Iran filed a $4-billion lawsuit against Russia. In January this year, it revoked the lawsuit.